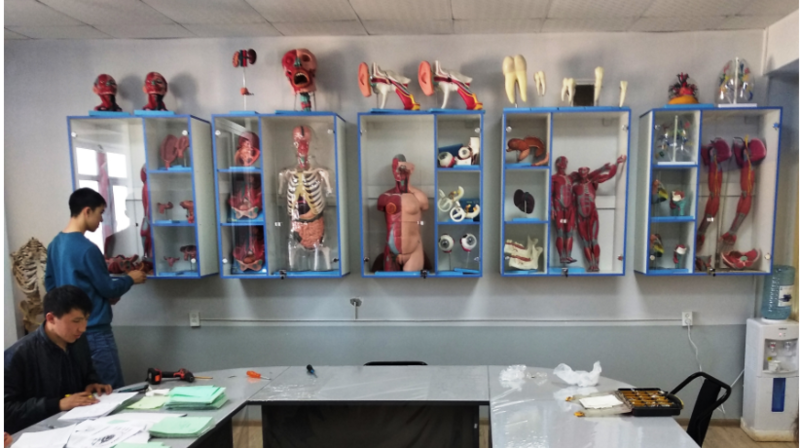 “The 80-year anniversary of the University of the department of normal anatomy, histology and physiology” on the basis of academic and museum laboratory complex will continue. No. 400, under the chair audiences stilajdar prepared and placed in a systematic set of anatomical models and preparations: respiratory, digestive, urinary and sensory organs, embryology and muscular systems.